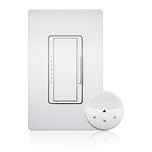 The Radio Powr Savr Daylight Sensor works with Maestro Wireless switches and dimmers to save energy in small spaces by automatically dimming or switching electric light in response to available daylight. 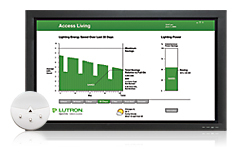 The sensor requires no new wiring and communicates via radio frequency, so installation only takes a few minutes. 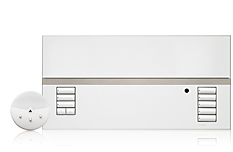 In a larger space, the Radio Powr Savr Daylight Sensor works with GRAFIK Eye QS control units directly and the Energi Savr Node Solutions product family through the QS Sensor Module to save energy by automatically adjusting light levels based on the amount of daylight available within the space. The Radio Powr Savr Daylight Sensor can also be incorporated into Quantum system through the QS Sensor Module to automatically adjust the light levels according to the amount daylight available in multiple spaces and provide total light management of an entire building.